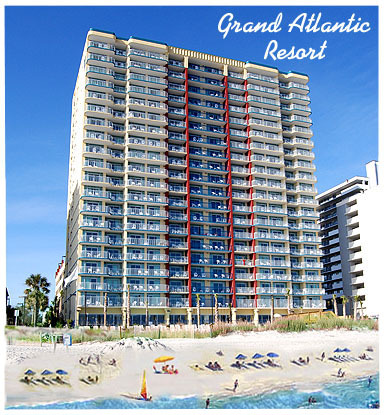 Myrtle Beach condos do not come better equipped and better situated than the stunning Grand Atlantic Resort. 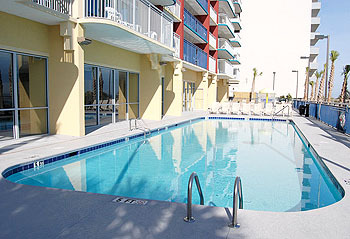 Located on the south end of the strand adds the convenience of being near Market Common, the Myrtle Beach State Park, Brookgreen Gardens, and the airport. Many of the best golf courses are in Surfside and Pawleys Island, and the Grand Atlantic would be equally near the 2nd Avenue Pier and Springmaid Pier. Whether you are a golfing aficionado, fishing enthusiast or simply enjoy a lazy day at the beach or pool, the Grand Atlantic has it all. Featuring, one, two, three, and four-bedroom residences, the Grand Atlantic can comfortably accommodate families of all sizes. Condos come with fully-appointed kitchens, giant windows, and washer/dryers. Prices range from the mid 100's to about $350,000. Browse the available units below and feel free to contact us with any questions or to purchase one of these great Myrtle Beach condos.